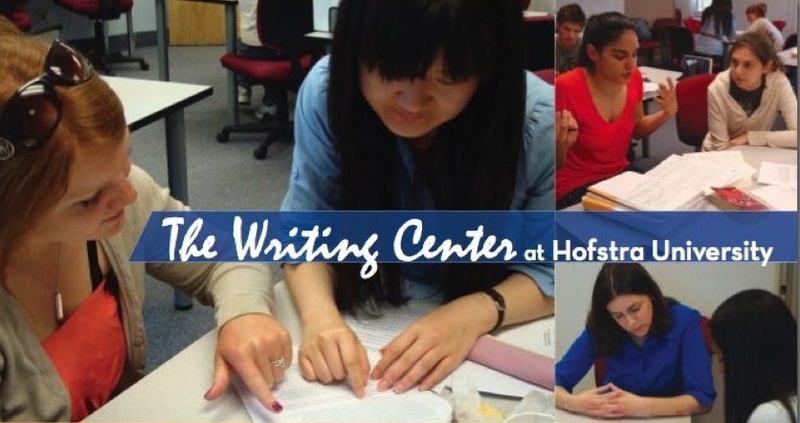 Spring Break is the perfect time to catch up with all of your work at the Writing Center! Finish up that incomplete, write that term paper ahead of time, polish that resume, craft that great personal essay for graduate or professional school, get that literature review in good shape, write that persuasive letter to your landlord requesting repairs -- Spring Break is the perfect, relaxed time to get it all done so that you can end the semester feeling great about what you've accomplished. Our hours are a little more limited on some days, and we're closed on Good Friday (Friday, April 3rd) and Easter (Sunday, April 5th), but we still have plenty of day, evening, and weekend coverage throughout Spring Break to help you work on all of your writing projects! We're very sorry, but when the University closes due to snow, so do we, so all appointments for Thursday, March 5th are cancelled! Please log in at https://hofstra.mywconline.com to re-schedule. Hofstra's opening at 10AM Monday, so we are too! As usual, when Hofstra closes entirely or opens late, the Writing Center does too. If you had a 9AM appointment, please re-schedule for a little later. Thanks, and stay safe getting to and around Hofstra in the ice Monday!